Hi Guys, welcome back to Tricks Nation in this post I’m going to share Latest Working method to create WhatsApp account with a fake number. Are you searching for how to create a WhatsApp account with a fake number? If yes then you are in the right place. There are various methods to create WhatsApp account with fake numbers, but most methods are not working or outdated. Many websites you visited before they are shared an old technique that was not working right now. 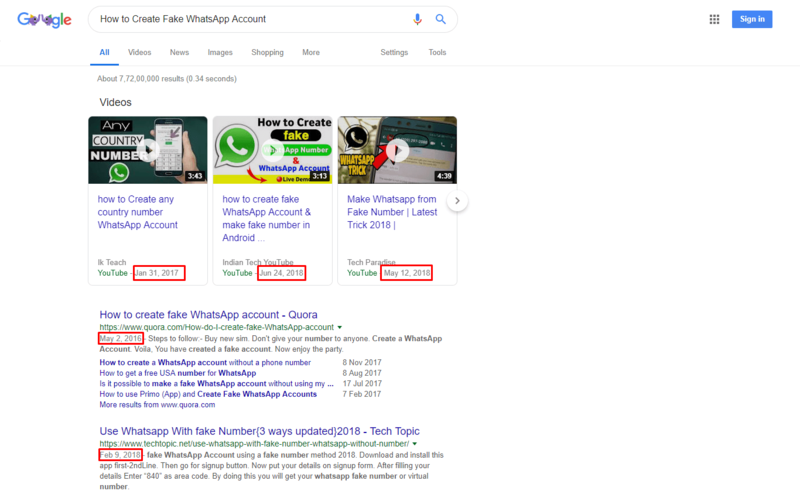 A few days back I have searched for “How to Create Fake WhatsApp Account” on Google, but I am not satisfied with Google 1st-page result because many Videos and posts are not working because they post too old and outdated. As you can see in the photo given above, the first video was uploaded in January 2017 With that, you can understand that the method was told in this video is working or not 😉 I don’t want to confuse a single user this is the biggest reason behind writing this post. For creating fake WhatsApp account with the USA/fake number you need a Virtual Mobile number, there are many websites and apps available that provide virtual number many sites are paid, but most are free for use. But don’t worry I am going to tell you the best free app that I use for Virtual Mobile Number. With the virtual mobile number, you can create fake WhatsApp account in just 5 minutes so let me tell you the best app to get fake WhatsApp number. The name of the app I am talking about is TextNow this app is available for IOS and Android both user you can download it easily from Google Play Store and App Store, and Also you can use TextNow website. Now I am going to tell you full step by step procedure to get free virtual mobile number from TextNow It’s a straightforward method all you need only to follow my steps. Let’s get started. Step 1: First of all you need to download and install the TextNow App on your mobile phone. 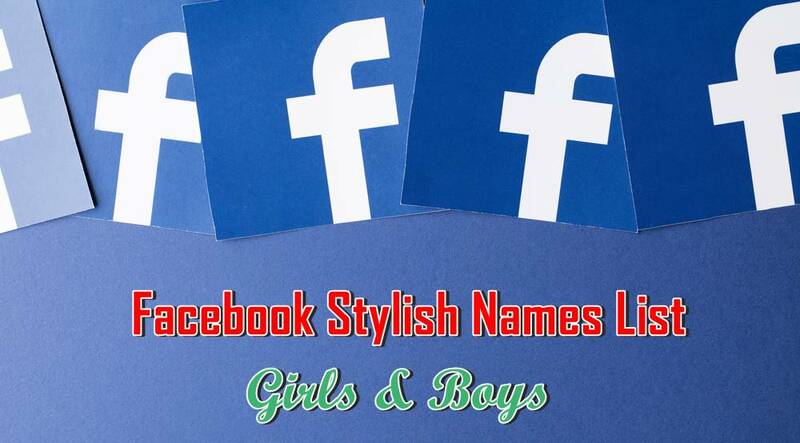 you can download this application by clicking on below download buttons. after downloading simply install it in your phone. 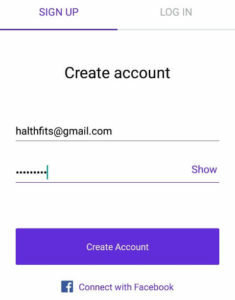 Step 2: After downloading and installing this app on your smartphone open it and click on Sign Up option then fill you Email ID and Password then click on Create Account button now click on Continue. After signup you will get a verification email on your email account you need to click on verification link for verifying your account. 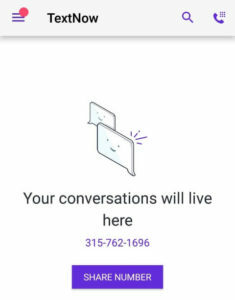 Step 3: Now Click on Set Up Option then click on Don’t use location option now Enter 315 or 539 area code on that box this is a very important step do not enter any other area code otherwise you can’t create WhatsApp Account with this number. 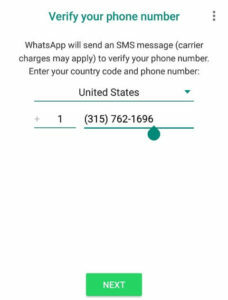 Step 4: after doing these steps click on Continue now you can see 5 USA Numbers choose anyone that you want to make your WhatsApp number 😉 after picking number click on Continue. Congrats! Now you have a personal USA Phone Number for free you can use this number anywhere you want but if you want to use this number for calling then you need to Purchase Premium Packages of TextNow but don’t worry they did not charge for Incoming calls and Messages. also, you can use this number for creating an account on FmWhatsApp. Now you have a Fake/USA number for Whatsapp But do you know how to use it for creating a WhatsApp account? Maybe you not because of it’s a little bit tricky so let me tell you, follow my steps. 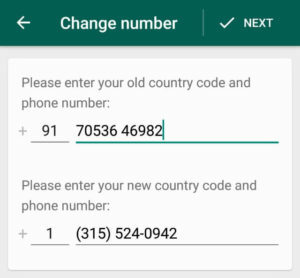 Step 1: First of All Download & Install WhatsApp application in you Mobile then open it and click on Agree and Continue then enter the use number that you get from TextNow app and Select area Code +1 Now Click on Next. Step 2: When you click on Next you will get a pop up there you need to click on Ok option then Now again you will get a Popup message again click on Ok then click on Call Me option now you will get a call from WhatsApp on TextNow application. Step 3: Pick up the call and Enter the number on WhatsApp that you get from the call after that you will be redirected on next page now select your name and WhatsApp DP then click on Next Button. Hurray! Now you have successfully created a WhatsApp Account with fake USA Number. Enjoy. Do you already have WhatsApp account with the personal number? Do you want to change your number with USA number? If yes then follow the below steps. Step 1: Open your WhatsApp App then Click on Menu Icon. Now click on setting option Then click on Account option. Step 2: Now you can see change number option click that then click on Next button. 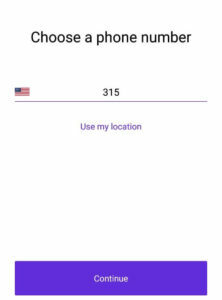 Now Enter your old Mobile Number in the first box and Enter New USA Number in the 2nd box then click on Next button. Step 3: Now click on Done Button Then Click on Continue. Now click on Call Me option then you will get a call from WhatsApp Pick Up the Call and enter OTP on WhatsApp that was told in the call. Hurray! You have successfully changed your Normal Mobile number with WhatsApp. 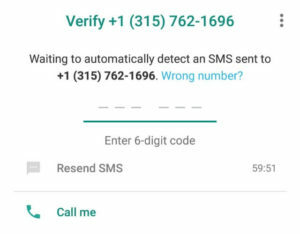 So, guys, this post is All about How To Create WhatsApp Account With Fake USA Number I think this was helpful for you, then please share it with your friends and family and don’t forget to comment below. Thank you! banned or not valid US number any new method fo US number please?? I’m searching for new method. Bro it’s not working anymore… 315 and 539 all codes from textnow numbers on whatsapp say nunber banned or not valid US number any new method fo US number please?? Okay, bro thank you for valuable comment. I will update this post when I get a new trick.